Senate has resorted to cheap blackmail – Falana – Royal Times of Nigeria. Human rights lawyer, Femi Falana has said the executive arm of the Federal Government has to terminate what he calls as ‘the reign of impunity’ in the National Assembly. In a statement on Wednesday, Falana said the Senate had become uncontrollable following recent developments in the red chamber. He added that the Senate also violated principles of law by suspending Senator Ndume for six months on Wednesday. He said, “In view of the settled state of the law as expatiated on in the aforementioned cases, the Senate is advised to reverse its illegal decisions and quickly return to the path of constitutionalism in the interest of lasting democracy in the country. Falana cited an example of the Senate’s decision not to screen 27 newly appointed Resident Electoral Commissioners until Ibrahim Magu has been removed as acting Chairman of the EFCC. Falana added that the President had the power to retain Magu in acting capacity even after his nomination has been rejected. 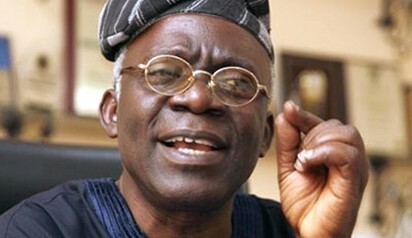 Falana said, “The decision of the President cannot be faulted by the virtue of section 171 (1) (d) of the constitution, which provides that the President is vested with the power to appoint the head of any extra-ministerial department to hold office in an acting capacity. Such an appointment does not require the confirmation of the Senate. “Completely aggrieved by the decision of the President to exercise his constitutional powers in the circumstance, the Senate has decided not to confirm the 27 newly appointed Resident Electoral Commissioners until Mr. Magu has been removed from office as EFCC Chairman.